Jesse Borkowski is an award winning filmmaker and digital strategy consultant with extensive online production, distribution, and marketing experience. He holds a Masters in Business Administration from Elon University and a Bachelor of Fine Arts in Film and Animation from Rochester Institute of Technology. His films have received over one million views on YouTube and he has worked on projects featuring a number of high-profile celebrities including Christopher Guest, Steve Vai, Joe Perry, Chick Correa, Bob Weir, Pat Metheny and Gary Burton. What's your background? How did you end up in filmmaking? Until I went to college my interest and educational background was really focused on literature, math, and science. Growing up I actually went to science school every summer. I never really considered myself someone who would end up as an artist or a filmmaker. To this day I still don’t watch a lot of films. I’ve always been more interested in film as an act of creation than consumption, and so that was really how I ended up in filmmaking - through my desire to create. That’s actually why I generally write, produce, direct, film, and edit all of my work. I enjoy the entire process. I think if I could only do one piece, if I were only a cinematographer, I would find that quite tedious. So, I’m fortunate to be in a time when technology has enabled the individual artist to undertake multiple parts of the creative process. If that wasn’t the case I might have gotten into something else besides filmmaking. Though, film is really how I visualize and communicate with the world. Whatever I am working on is always already a finished film in my mind. Filmmaking for me is really the process of reverse-engineering a completely visualized film into reality. Even with a documentary like Real Value, there was a finished film in my mind before I started. Of course, in the translation from imagination to reality, the result is always something different; but I always start with a finished film, which is to say that partly I ended up in filmmaking because that’s how I see the world. In films. Which, is another big reason why I do most things myself, it helps keep the translation closer to my original intention. It seems that, under economical pressure, there's this trend to less specialization in filmmaking. Crews are getting smaller and smaller. Is this something you applaud or rather regard it as a devaluation of quality and craftsmanship? I’m not against less specialization in filmmaking, in terms of people having more access and knowing about more parts of the process, film is always collaborative, so the more pieces of the process you understand the better the collaboration is. I do think people still need to be specialized, in the sense that they have one or two areas of expertise that they know really well. But, I like that people now have the ability to access more parts of the process, if they want to learn them, and I think that’s really good. I’m also not against fewer people on set, or smaller crews, but I don’t think the trade-off should be one of economics. Meaning that I would prefer to work with fewer, highly-qualified professionals, being paid more than lots of people who don’t know what they are doing being paid less. The real problem I see, and what I think, devaluates quality and craftsmanship, is the notion that equipment, or technology, is more important to the creative process than the individual. I’m a big proponent of technology, but technology shouldn’t be seen as a replacement for craftsmanship, or for the human element. You learn a lot through failure and the experience of doing. You learn less through buying the latest camera, and setting it to automatic. I think in all industries we’ve forgotten the value of the individual, that’s actually one of the themes in Real Value, that we tend to undervalue people and overvalue profit. What's the story behind Real Value? When did you decide to make it and why? Well, I have both a Bachelors of Fine Art in Film and a Masters of Business Administration, Real Value is really a combination of those two interests. Art and business. The concept for Real Value really started when I was in business school. The 2007 recession had just happened and I felt a real disconnect between how business views and values the world and how the general population views and values the world. I found it fascinating that businesses, which are made up of people, could be so focused on creating profit that it often comes at the expense of our long-term interests as a species, our humanity, and the things that we really value in our everyday life. The question that really brought Real Value into focus for me was, “If I were dying what would I want to be surrounded with?” For me the answer was my friends and family - I suspect if you asked most people they would say the same thing. Would anyone really want to be surrounded by just a pile of money? That’s a real disconnect in our value system and where Real Value came from - a desire to find, and highlight, businesses that were trying to reconcile this disconnect between what’s good for business and what’s good for us and our communities. It seems that you are quite emotionally involved in the subject of Real Value. Is there no risk of compromising the objectivity of a documentary that way? What's your stance on that subject? I don’t think objectivity exists in film and I think anyone that claims to offer objectivity in a documentary is unaware of what they are doing. As soon as you turn the camera on, and decide how to frame a shot the objectivity is gone. To me documentary is actually the least objective of all of the genres, because it is the only one the purports to replicate a true reality, which film can never do. Personally, when I want an objective experience I take a walk, I don’t watch a film. So, yes the objectivity in Real Value is compromised, and I’m quite upfront about that. Through editing, through color correction, through what lenses I use, music, balancing the audio levels, that all changes the reality of the film. Film is about making decisions, about condensing reality, about telling a story, all of that destroys objectivity. And people who think not white balancing a camera, or using jump cuts, restores some manner of objectivity to a film are really just further hiding the truth from the viewer - that the experience they are having is being heavily manipulated behind the scenes. All that being said, I do think that as a filmmaker I have a responsibility to be as honest, and truthful as possible. Especially, in maintaining the original intent of the subjects in my film and what they say. That’s why I don’t use voice over narration. And in the edit I am very careful about not taking things out of context, not making people say things they didn’t actually say. In Real Value people slightly contradict each other with their philosophies, some of the things they say might be slightly incorrect But, I don’t edit those things out, because I am trying to maintain the essence of the individual. Who they actually are. What they actually think. So, while I don’t think objectivity exists in film, I do think that there is an honesty and an integrity in presentation that one should adhere to this as closely as possible. And part of that truth for me is admitting that objectivity doesn't exist. Why on the A-Cam dII? Simplicity and quality. If I’m going to spend a year (or more) of my life making something I want it to be the highest possible quality given the resources I have available to me. I also want my projects to be as timeless as possible. To me the A-Cam dII offers a timeless image, that’s why I bought the camera. I never was interested in owning a DSLR for video (I do have a DSLR that I use for photos), because the image quality seemed temporary. I think when people look back all of the films captured on DSLRs they will look outdated, and I’m just not interested in creating disposable images. Trends never withstand the test of time, and to me DSLRs are the fanny packs of cinema. With the A-Cam dII, the quality of the image is superb, and the real limitation is really the compression required for distribution. The DNxHD 1920x1080 10bit export for Real Value is 90GB, the cinemaDNG frames used in the final film are about 400GB worth of data, in order to distribute the film that had to be compressed down to about 2GB and that’s 8bit, which is an insane quality loss. Overtime, I’ll be able to increase the quality of the film as technology improves. With many cameras you don’t have that option. The reason many people think cameras are comparable right now is because most of the footage is being viewed online in an extremely compressed format. Once higher quality versions of films are able to be delivered people will realize what they’re missing. In terms of simplicity, as I said I like doing most things myself, so I’m not interested in lugging around lots of stuff. That was a very attractive aspect of the A-Cam dII. It’s a compact camera that can easily be used without any accessories. Two of the interviews in Real Value I filmed by myself. I think often in cinema people celebrate complexity. How difficult, expensive, and time consuming it is to get a shot. I prefer simplicity. Many times I think simplicity is actually much more difficult to achieve and yet delivers better results, because you don’t have the of spectacle of production to distract you. The other big reason I bought the camera is because I really like working with vintage lenses, especially Super 16mm lenses, and the camera works perfectly with them. Sometimes I feel like newer cameras, with bigger sensors, are just a marketing ploy to get people to have to buy new lenses. I’m perfectly happy with older lenses and I’m not interested in the way newer lenses look. I actually think one of the big factors in achieving a ‘cinema look’ is using the correct lenses. I know that you used to film on S8 and loved it. Do you miss it? Yeah, I miss it. I have a lot of nostalgia for S8. But, actually, the reason I got into filming S8 was largely the same reason I bought the A-Cam dII - I wanted a camera that I could operate myself, that still gave me the look of film, without the hassle of lots of equipment. There is something to the look of S8 that I love, but I haven’t shot S8 since I got my A-cam. I actually have 10 cartridges of S8 film sitting in my fridge right now. I think it would be hard for me to go back to S8 after working with the dII and cinemaDNG. How do you use the dII? With as few accessories as possible. I generally use vintage prime lenses either Nikon, PL, or c-mount, though I’ve started getting more into some vintage zoom lenses as of late. All of the interviews in Real Value were filmed on a 25mm Schneider Cine-Xenon. A good portion of the b-roll was filmed on either a 16mm Cine-Xenon, or a 105mm Nikon 35mm lens. This was quite intentional. I wanted there to be some variation and softness to the image. I didn’t want it to feel stale and corporate, what you get when using all new gear. If you watch the film you’ll notice that the camera shakes sometimes and that shots are slightly out of focus on occasion. These imperfections are intentional and organic, I’m not aiming for technical perfection in Real Value, but for a cohesive visual texture. For audio, I’m not exactly sure what it’s called, but I found what essentially is a plus sign (+) of 1/4” screw adapters. I screw that into the top of the A-Cam, attach a H4n Zoom recorder to the top 1/4” screw, a boom mic to the right side, and then I have an old bellows matte box that is for a super8 camera, but works perfectly for the A-Cam dII, that I attach to the left side. Pretty minimal, but it works really well. Then I run audio out of the 1/8” headphone jack of the Zoom to the A-Cam dII. This lets me record the master audio on the Zoom, with a backup audio recording on the camera, which helps with syncing and peace of mind. The side directors-monitor on the camera, which in all honesty I thought at first was sort of gimmicky and useless, has become one of my favorite features when it comes to filming interviews. Especially, when I’m by myself. It actually always perplexed me why the audio levels were on the side screen, until I was filming Real Value and realized I could monitor the shot and the levels all while sitting down and asking questions. I mean, even I don’t think it’s ideal to be doing that much yourself, but it can be done if you need to. I’m not sure. I always have too many ideas, and too many scripts. Usually, what I make next just depends on what pieces organically come together. Right now, it’s looking like it might be an alternative narrative. 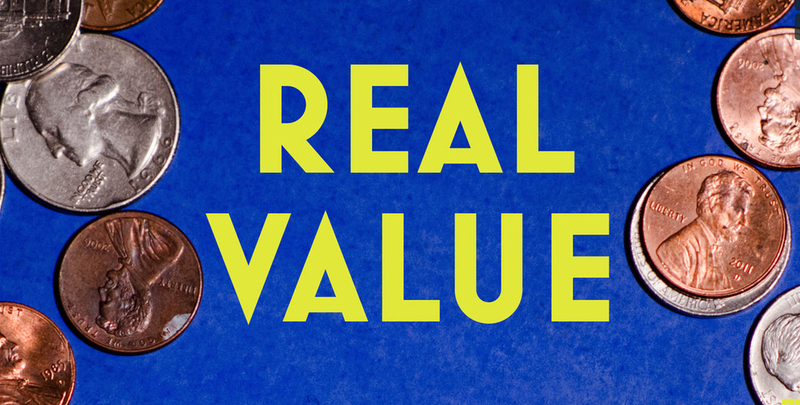 Real Value, an independent documentary film by award-winning filmmaker Jesse Borkowski, is pleased to announce its worldwide release. The feature-length film is a smart, uplifting meditation on value through the eyes of business people and economists. The film explores businesses that look beyond the value of profit to the health of their communities, as well as the science behind the perception of value from Duke University behavioral economist, Dan Ariely. Real Value follows a growing sentiment among many Americans that corporations’ focus on the bottom line has been at the detriment of society. The film serves as inspiration for any business owner, entrepreneur, or customer who is looking to better understand what happens when a business puts people, profit, and planet on equal footing.